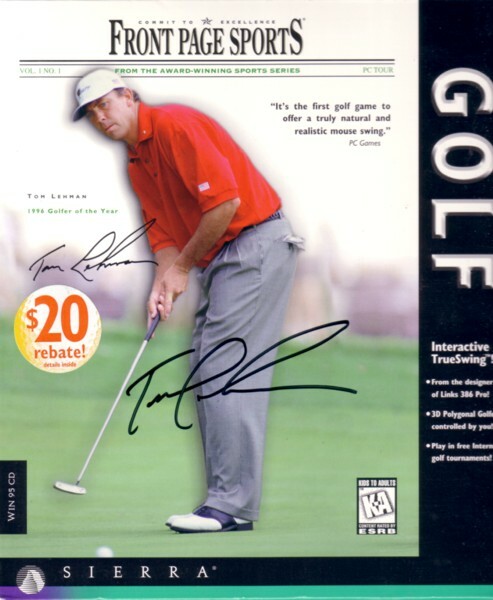 Front Page Sports Golf empty software box autographed beautifully in black marker by Tom Lehman, who is featured on the front. Nearly flawless condition. Obtained in person, with certificate of authenticity from AutographsForSale.com. ONLY ONE AVAILABLE FOR SALE.